Homeschooling young children in the early years is so much more than reading, writing and maths! When you consider the education of children under six years-old, there are many worthwhile areas to focus on, not just academics. I am frequently asked the question ,“What should I be doing with my 3/4/5 years old child?”, and this blog-post I will do my best to answer that question for you. This blog post has been written in collaboration with WordUnited who kindly gifted my family their products and compensated me for my time. Please see Disclaimer for more information. Before the age of 7, many experts agree that the child’s mind and spirit is not ready for formal education. However, that does not mean we do nothing at all! The mind, the heart and the soul of the child are still within our stewardship as parents. Through play, and gentle teaching, young children can be taught many important lessons; lessons that will benefit both their intellect and their spiritual essence. Although academic subjects have their place in a child’s education, the focus with young children should be on the preservation of their faith, and establishing the foundations necessary for them to grow into righteous and highly moral human beings. Young children are the the greatest of mimics and they will copy your example. Many people talk about how becoming a parent has been the catalyst for a change within themselves; how they became more practicing in their religion because their children are now watching EVERYTHING they do! 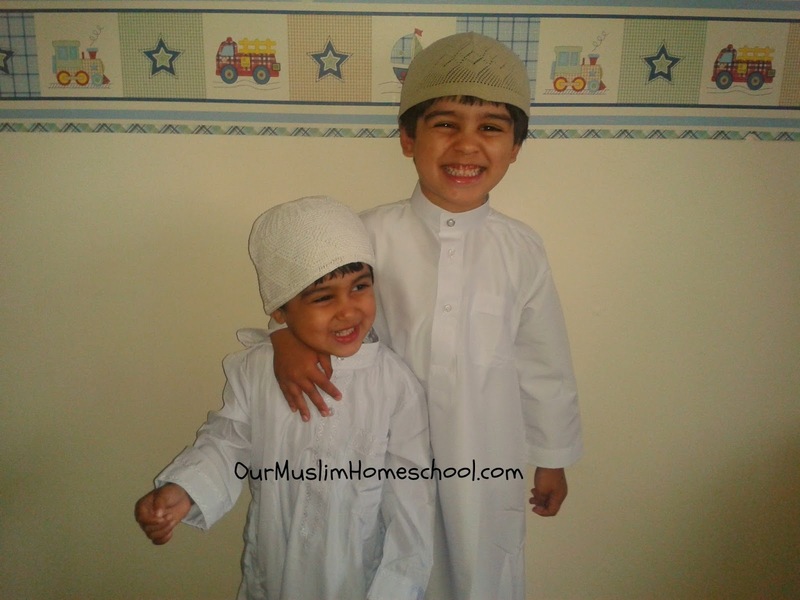 Allow your children to witness you praying, reading Quran, attending classes and let them take part. Try to surround your children with good role-models whenever possible; both young and old. Another powerful method of encouraging good morals in our children is by using stories; particularly about great and noble people from the past. These stories permeate into the child’s consciousness in a more powerful way than at any other time in their live’s, and will become part o their moral compass in the future. Not only can this include the Stories the Prophets (R.A.), but good children’s fiction has a lot to offer too. When children are young they seem to be interested in everything! They can become fascinated by the shells at the beach, the bugs in the garden, the vehicles they see on the road, the list goes on and on! Whatever their interest is, grasp hold of it and pursue it! Read more about it together, create activities around that interest and organize field trips. Not only will your children relish the opportunity to learn more about something they love, but it’s a great way to show them that their passions matter to you and boost their self-confidence. Establishing good habits and routines within the home is vital to save you much frustration and heart-ache as they grow older. Whilst they are young, teach your children good manners and establish routines within the house that will benefit you all in later years. Examples include good personal hygiene, cleaning up after themselves, no whining or bickering; anything that could lead you to frustration in the future is best dealt with whilst they are young, through loving an gentle means. Try to allow your children to spend some time everyday outdoors in natural environments. Allow them to explore and play freely for as long as you can spare. Not only is being outside good for their physical health, but also for their spiritual and mental well-being. A child who spends his time collecting rocks, building dens, identifying birds, and such like, will have a mind full of wholesome interests; so full that there will be little room for less desirable interests, such as TV and video games. In these early years, young children have the most incredible capacity to memorize almost anything with seemingly little effort. Use this time to encourage your children to memorize the Quran. There is no need to have any structured lessons, unless they seem to enjoy it. Instead, just allow them to listen to the Quran in the home whilst they are playing or eating their breakfast, whilst travelling in the car or as they fall asleep. 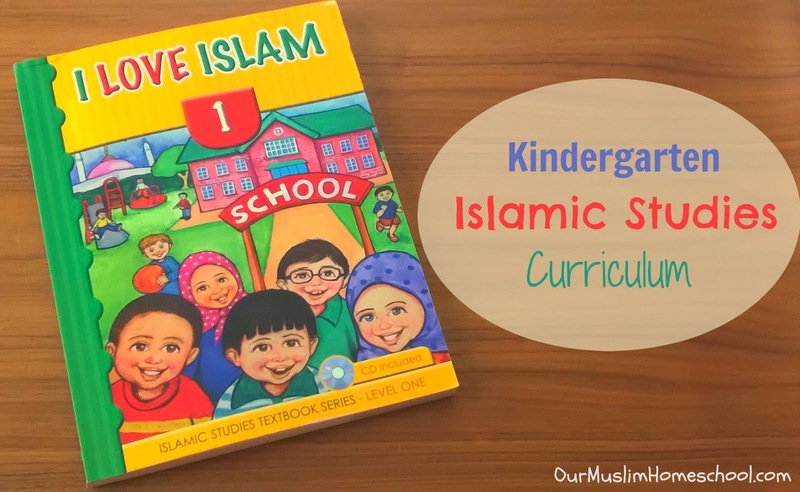 This is such a simple and effective way for young children to learn the Quran, and will set them up well for more formal study in years to come. The early years are also the best time to learn a foreign language. If you would like to learn more about how to do that, CLICK HERE to read how to do it! The age you begin to prepare them for more structured school-work is up to you. In our home it has been different for each child depending on their development. Before they start formal schooling you may want to teach them the letters of the alphabet, numbers, and how to write and read simple words. For this we have enjoyed using the Write-and-Wipe flashcards from WordUnited. There are a variety of sets available including the alphabet, numbers, colours, shapes and actions! Each card shows the word or letter of the alphabet, along with a beautiful high quality photo on one side; whilst on the other side the word or letter is written out, followed by a tracing and hand-writing exercise. I really appreciate how well-made these cards are and I am sure they will last us for many years insha’Allah. All the flash-cards are kept in a magnetically closing box, along with two wipe-able board pens. These beautiful flashcards introduce children to the alphabet, numbers and simple words, and also give your children the opportunity to learn to write and read in a relaxed and fun manner. In addition to English, The Word United flashcards are also available in Arabic, French, Spanish and German. To read about how we have used these cards to teach Foreign Language in our homeschool, CLICK HERE. Educating young children is so much more than reading, writing and maths; it’s about nurturing their whole beings in alignment with their natural development. If you have any questions, please leave them for me in the comments section below. It’s every homeschooler’s favourite time of the year; the time where we get to share our homeschool curriculum choices for the coming year! 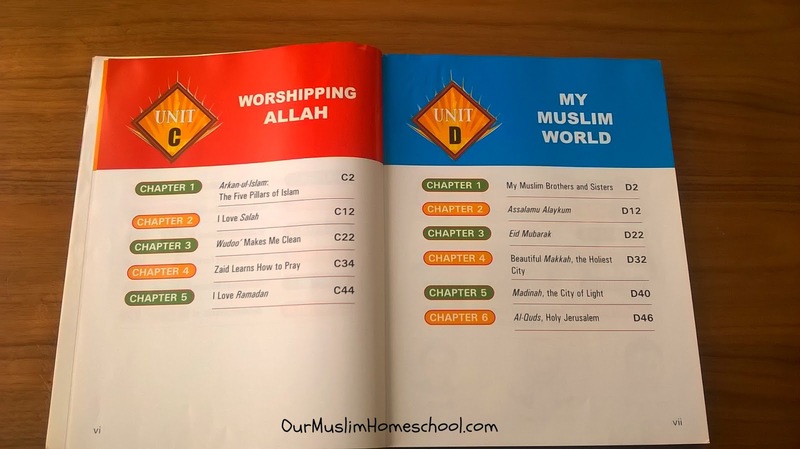 In Our Muslim Homeschool, we are trying to fully embrace the educational teachings of Charlotte Mason this year and have chosen to follow the recommendations of Ambleside online for my seven year-old son. In the U.K. he would be entering Year 3 or 2nd Grade in the USA. From the Ambleside online curriculum, we have chosen to use their Year 2 book list but, as you will see, we have made some adjustments to the curriculum to suit our family’s needs. 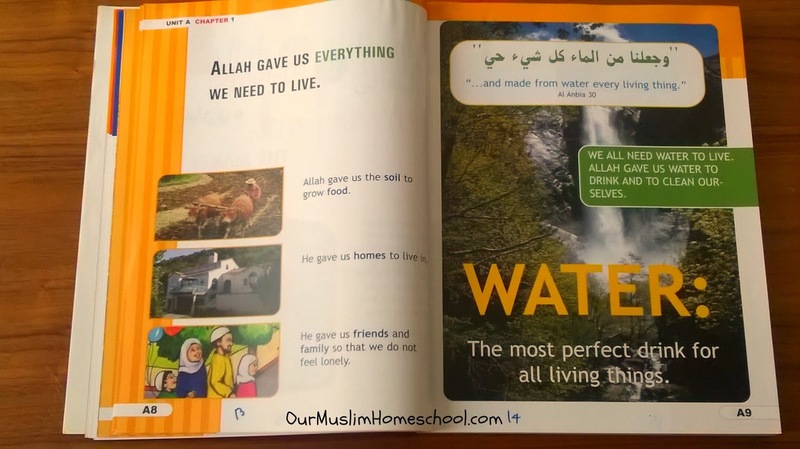 Our Muslim Homeschool uses affiliate links in posts and sidebar ads. Please refer to my Disclaimer for more information. Ambleside online is a well-respected Charlotte Mason homeschooling curriculum, and is renown as being both rigorous and true to the principles that Charlotte Mason set out. 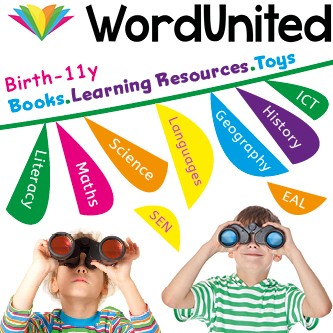 It is a FREE curriculum that consists of a book list and a recommended weekly schedule. However, in order to implement the curriculum into your home, it is vital that you familiarize yourself with the works of Charlotte Mason first. I have already been receiving comments on Instagram and Facebook questioning my choice of curriculum. Although Ambleside online has been tailored to the American and Christian demographic, I have found it very easy adjust the Year 2 curriculum to my own faith. For example, instead of Bible we will be reading from the Quran; instead of Pilgrims progress, we will be learning the Seerah of Prophet Muhammad (saw), and instead of hymns we will be singing nasheeds! For more information, WATCH THE VIDEOS BELOW! This blog post has been divided up into what I refers to are “Daily Work” and “Circle-time“. Daily work is the work that my son will do everyday, and group work is what will be done less frequently with his siblings. All the books and online resources are listed below, so you can print them out and take it to the library if you want to! Alternatively, if you click on the links, they will take you directly to Amazon (UK or USA) or our Online Bookshop. If you are interested in seeing which books and resources we plan to use this coming homeschool year, THESE VIDEOS! Below are the resources that we will be using for our Daily Work, and what were shown in the Part 1 Video. More reading lists are available on the Ambleside online website. Below are the resources that we will be using for our Circle time, and what were shown in the Part 2 Video. Poetry is provided for free from Ambleside online. This year we will be studying the works of Walter de la Mere, Eugene Field and Christina Rossetti. This year we plan to study the works of Monet, Hokusai and O’Keefe. Here are some of the resources we will be using. This year is the first time we are fully embracing the educational philosophy of Charlotte Mason, and I am excited and aprehensive! I will share with you our highs and lows, and how we find the ambleside online curriculum. For (almost) daily insights into our homeschool, follow me on Instagram, Facebook and subscribe to my YouTube channel! If you have any questions about the curriculum we are using or how we teach these subjects, please feel free to leave me a question in the comments below. Are you intimidated to get started with handicrafts? With small children, they have so much excitement to make something themselves, but we don’t want to present a project that frustrates them and kills that excitement. Still, we don’t want to wait so long that our child no longer has an interest in crafts of any sort. The points to be borne in mind in children’s handicrafts are: (a) that they should not be employed in making futilities such as pea and stick work, paper mats, and the like; (b) that they should be taught slowly and carefully what they are to do; (c) that slipshod work should not allowed; (d) and that, therefore, the children’s work should be kept well within their compass. Charlotte offers some suggestions for handicrafts for children under 9, but to be honest, many of them seem antiqued, or would be hard to source. So what handicraft ideas are useful for young children in our modern times? We’ve tried a few handicraft ideas in our home with my 6 year old daughter: some very successful, and some not as much. Here I’ll share with you what I believe are some of the best projects to get started, in sha Allah. Handicrafts are more than arts and crafts. Handicrafts are useful items that serve a purpose, or decorate a useful item, like embroidery. How did we start with handicrafts in my home? My 4 year old, at the time, saw me knitting one day and begged me to teach her, but again I didn’t want to teach her something where she had little likelihood to be successful. Fortunately, I found a used knitting loom online and purchased that, plus I had some yarn left over from my own projects. She took to it immediately and has been making hats and crowns (hats without tops) ever since. Weaving can result in many different types of projects, the most common for kids being pot holders. We started with pot holders because it was really cheap to get the loom and the bands, but I can see it sparked something bigger in my 6 year old and she’d love if I got her a weaving loom for other projects like making scarves, placemats, or bracelets. You can find many YouTube videos about making your own weaving loom to make a variety of projects to get you started, or find a high quality, affordable kit. Sewing School is a great book to get ideas for really simple projects. We started with a couple charm squares of fabric, a needle, thread, and some cotton stuffing, and with this my daughter made a pillow for her dolls. A variation of this project is only sewing three sides and not stuffing it to make a pocket, or attach a handle to make a doll bag. 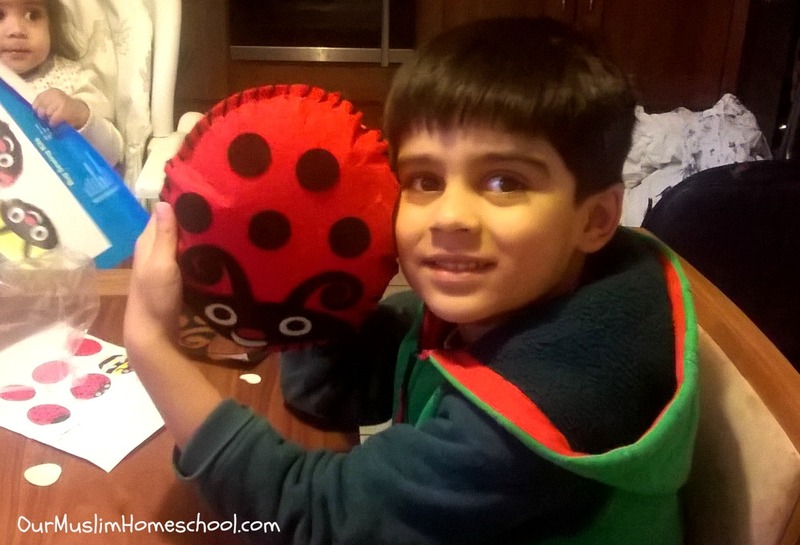 The book offers many other projects kids can work on, but I loved how simple the pillow project was to get us started. I hear many people mention how their grandmother or mother taught them how to knit or crochet when they were 5, 6, or 7 years old, but a common theme is that they didn’t stick with it. I have taught my child how to knit, because she insisted, but with the attention span of young children, it’s hard for them to even see a washcloth project through to completion. If your child is interested in it, I wouldn’t say to hold back, but until they are about 8 years old, I wouldn’t expect a child to run with it like they would with weaving pot holders. Super easy, and super fun for kids! Even more fun? Dyeing their own yarn, then knitting with it themselves on the loom! There are a lot of videos on YouTube to teach you how to dye yarn, but I personally prefer to pick up a kit from a well regarded source so I don’t waste time and money on a video that may or may not be well constructed. Knit Picks has some books, dyes, and bare yarn to purchase. Another great source is your local yarn shop, and it supports local small businesses. While Charlotte Mason suggests only giving a child work that they can perfect, that doesn’t mean that’s it’s perfect the first time around. Offer up some options and let your child choose something in their interest. Also, in your day to day lives, point out items that the child could make themselves and offer up ideas. And… the best way to encourage your child to take up handicrafts? Do them yourself! 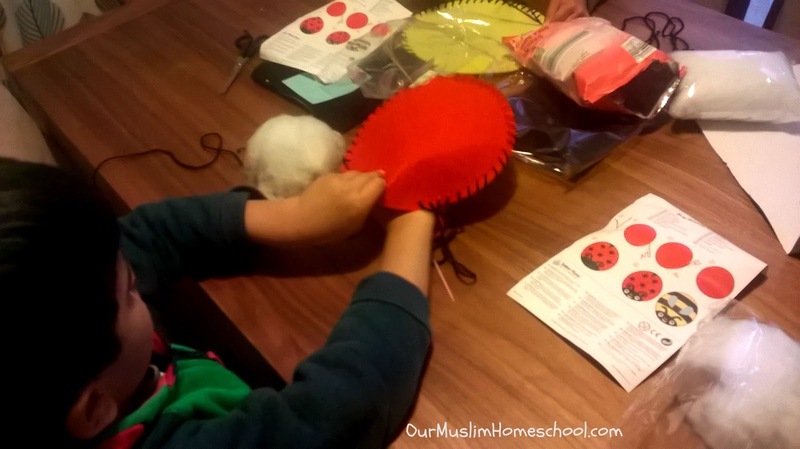 Invite your child to help sew on a button. Knit while doing your homeschooling lessons. Quilt while watching a movie. Not into fiber arts? Paint rocks together, garden, paint bird houses, and other useful crafts to spark an interest. What are some handicraft ideas you’ve tried with your child? 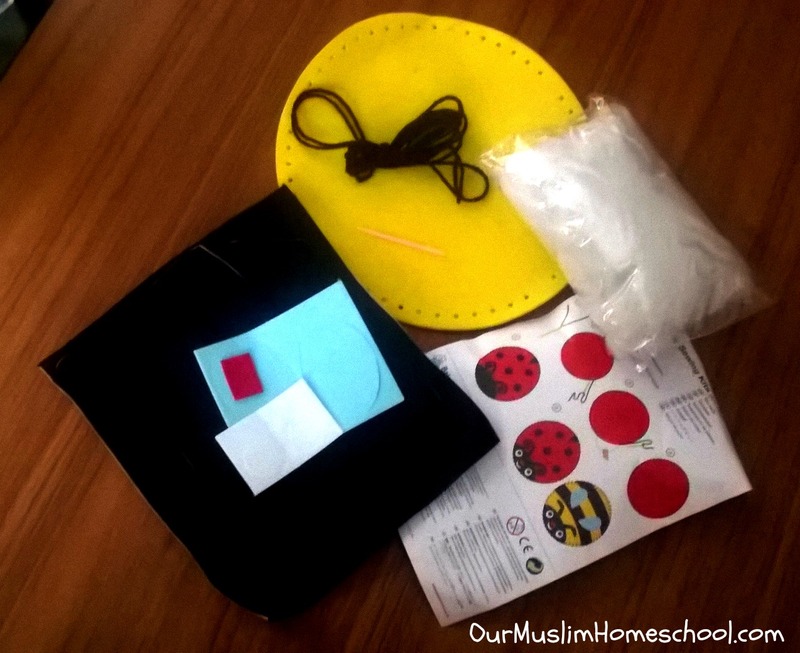 I am so excited to share Our Muslim Homeschool Curriculum choices for 2016-2017. In the U.K. my sons would be in Reception (Kindergarten) and Year 2 (1st Grade), at ages 4 and 6 years old. We follow an eclectic approach, drawing heavily from the Classical approach and the Charlotte Mason method. This blog-post contains affiliate links. For more information, see our Disclaimer. Please WATCH THIS VIDEO to see what books and resources we are using this year in our homeschool. If you want more information, or would like to buy anything for your family, I have given links in this blog post for almost everything that is mentioned! I hope you enjoy the video and find benefit in it! Thank you so much for stopping by. I hope you found this blog post useful and got some ideas for your family. If you have any questions, please feel free to leave them in the comments section below. Make sure you don’t miss the next blog post by Subscribing to my mailing list. I can’t begin to tell you how excited I was to do this experiment with my boys this week in our homeschool. Making a volcano is one of those science projects that I have always wanted to do with the kids and it was so much fun! This volcano experiment is so simple and you with probably have everything you need already in your home. If you are interested in how we made our Erupting Volcano, please keep reading! Since a young age, my boys have been obsessed with dinosaurs. So much so, that it had taken over my house. Dinosaur toys, stickers, books, bed sheets….it was driving me CRAZY! Thankfully, this interest has now evolved into an interest in fossils, geology and volcanoes. As I try to encourage the kids to explore their interests, we decided to make this a part of our homeschool, doing an experiment/project on this topic, once a week. We have been using the book Rock & Fossil Hunter for our experiments, It’s full of different activities that kids can do, using materials that you can easily find in the house. As you can tell, they had so much fun doing these activities! I’m sure your kids will too! Place the bottle in the middle of the tray, and pile up the sand around it, to look like a volcano. If the sand is not sticking, dampen it a bit to help it hold in place. The decorate the outside of the volcano however you like…obviously in my home that meant with dinosaurs! Pour enough warm water into the jug to fill the bottle 2/3 full. Then add 2 dessert spoons of bicarb, 1 dessert spoon of food colouring, 1 dessert spoon of washing-up liquid to the jug. Then get ready for the eruption…..it will happen quickly!!! Pour 100ml of vinegar into the bottle and jump back! Don’t worry, it’s not explosive….just very foamy! Perfectly safe for little kids! This could also work for a chemistry experiment if you have older kids. It’s a simple acid-base reaction. Why are volcanoes different shapes? This is the second experiment from the book Rock & Fossil Hunter . It aims to illustrate how the temperature of lava affects its flow and the ultimate shape of the volcano. The cooler the lava, the slower it flows, resulting in conical volcanoes. The hotter the lava, the faster it flows, leading to flatter (shield) volcanoes. Put once tin of treacle in the fridge overnight. Put the other tin into the heat-proof pan, and surround it in boiling water. Leave it to warm up the treacle for thirty minutes. Open both tins, and pour onto separate plates. You should find the cold treacle piles up on the plate, like viscous cool lava would. The hotter treacle will spread out to form a wider puddle, like runny lava. Both of these experiments should be done under the supervision of an adult and are suitable for child aged 4+. Are your children interested in volcanoes? What volcano activities have you done with them? If you have any great resources on the subject, or if you have written a blog post on the topic, please share it in the comments below. Thank you so much for stopping by, and reading this blog post. To make sure you don’t miss the next one, just Subscribe to my mailing list and you’ll be sent an email to let you know it’s out! We all want our children to spend more time outdoors. However when you live in a city, connecting our children to nature can be difficult. In this series of blog posts, I hope to inspire you with some ways you can teach your children about the natural world, and give you some creative activities to do indoors or in a city garden. Spending time outdoors in a natural environment has been proven scientifically to benefit children. Since the release of the book Last Child in the Woods , which brought attention to the developmental effects of nature on our children, there have been multiple studies that prove likewise. science programs had an improvement in their science results by 27% (American Institutes for Research, 2005). Reduces ADD symptoms (Kuo and Taylor, 2004). Before we start, I want to let you know that we have been using this vintage nature book, Looking At Nature , by Elsie Proctor, as our primary text. It is fantastic. Unlike most nature books, it is not just pages of facts, but it also poses lots of questions for the children to answer and gives great ideas for outdoor activities and experiments. are easy to grow…we’ll soon see! seeds in the gap between the glass and the tissue. Then we added enough water the to jars to make the tissue damp, and left them on a sunny window-sill. The children drew what they saw for their Nature Notebooks, and we discussed all the parts of the plant and what plants need to grow. They learnt the words germination, shoot and tap root. This is something you can do indoors, in a small space, and at very little expense! This year I am giving a part of our small garden to the children. They will be responsible for growing the plants in that patch, weeding, watering etc. If it works…it’s going to be a fantastic source of learning opportunities. , and left them in our cold-frame to grow. Thankfully we have a number on trees on our road that have catkins. We collected what we could find, and brought them home to identify. At this time of year, there is so much to see in the park. The daffodils are blooming, the birds are back and building nests, and everything is stirring back to life! We spent several hours looking for the first signs of spring. The boys drew some daffodils for their nature notebooks, and I just allowed them to explore. The only rule we have in the park is ….You Are Not Allowed To Walk On The Path! They found this muddy pond and were in there wading through the murky water…They loved it! I hope this will encourage you to get out into nature with your children, wherever you live. I hope you enjoyed this blog post. Make sure you don’t miss the next in this series! I’m hoping to get it out the same time next month insha’Allah. To make sure to don’t miss it, just Subscribe to my mailing list and you’ll be sent an email to let you know it’s out! What is it about Vikings?! ?… Kids love them! In this blog post, I will show you what Resources we used to teach our Kindergarten (Year1) and Preschool kids about Vikings, and hopefully give some ideas about how to teach this unit study in your homeschool. As my eldest is only 5-years-old, I do not include too much written work in our unit studies. Instead the focus is hands-on learning and literature. However, if your children are older, you could certainly add in notebooking, lapbooks or even creating a poster of what they have learnt. As with all our unit studies, the first thing we did was head to our local library to see what they had on the subject. We found this great book of World History by Dorling Kindersley. I encouraged the boys to look through the relevant pages, and read aloud anything that intersted them. This is an old edition, but this History Book by the same publishers looks great too! My eldest son read the easy reader Viking Adventure from the Oxford Reading tree. I love this series and would recommend it for any children who are learning to read, but are not ready to tackle chapter books yet. Also, during this week, I read to the children from the book Viking It and Liking It (Time Warp Trio) . It’s incredible how much information children can absorb from stories and books. At this age, there is no real need to TEACH ….only to READ! If you have any Viking Resources for children that you would like to share with us, please leave a comment below! I hope you enjoyed this blog post. Make sure you don’t miss the next blog post by Subscribing to my mailing list. Teach ARABIC with PLAY DOUGH! 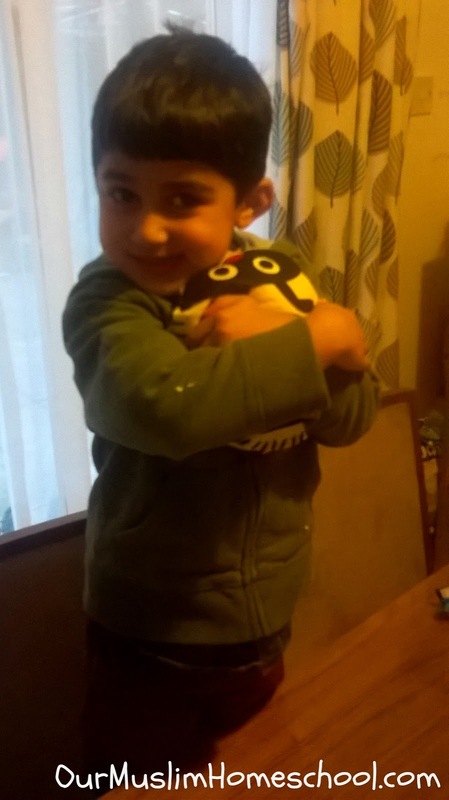 your kids by teaching through play….Teach Arabic with Play Dough! Arabic can be learnt through play. An obvious place to start is teaching your child the Arabic letters. 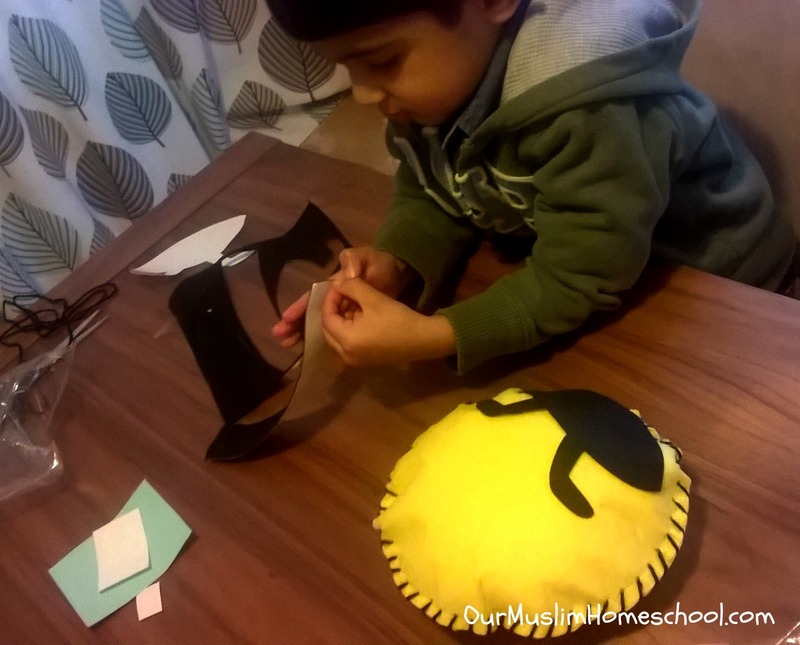 For these activities, it helps if you have a poster or book displaying Arabic letters nearby. We used a wooden puzzle to help the children visualise the letters. Alternatively, you can now get play dough cutters in the shapes of the Arabic letters. This set by Desi Doll company was fantastic! The letters came out really clearly and my kids found them very easy to use. On top of that, the play dough smells like candy! We began by doing a ‘Letter Hunt’ where all the cutters were placed in the middle, and I would call out a letter and the kids had to find it! Then we used the cutters themselves to make the individual letters of the Arabic alphabet. The children were eager to write their names in the play dough… as well as all their friends! Whilst the children are playing with the play dough it is very easy to casually teach the colours as you go along. Play dough makes a great manipulative, and it is easy to mould into counters. We used simple ball shapes, but you could use any shape/animal that appeals to your child. “How many ball are Asfar (Yellow)?” etc. Using the shape cutters and knives in our play dough kit, we were able to make a variety of shapes to to help the kids learn their names in Arabic. This activity was by far the most successful of all! We used the letter cutters to spell out new vocabulary words; such as the parts of the face and body, food, animals etc. My five-year old really enjoyed spelling out the names of the Prophets (Peace be upon them). Combining the sensory experience and manipulation of the play dough, with a purposeful spelling exercise, seemed to massively improve their memorisation of new words. This technique would be particularly effective for children who are tactile learners. On top of that, it was so much fun! The children get so excited when I bring this play dough set out! Play dough is also a great way to increase hand strength in preschool children, and improve their fine motor and bilateral coordination skills; so they will be ready to learn to write in the coming school years. If you are interested in buying the play dough set we used, visit DESI DOLL COMPANY for more information. How have you used play to teach the Arabic language? What games or toys have you found useful? 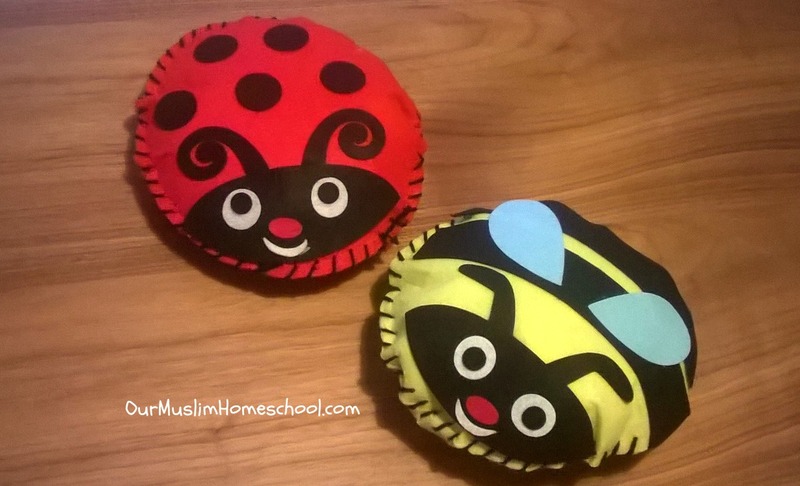 This week in Our Muslim Homeschool the boys have been learning to sew.They sewed these cute bee and ladybird toys. It was really easy and so much fun. Keep reading to see how they did it! 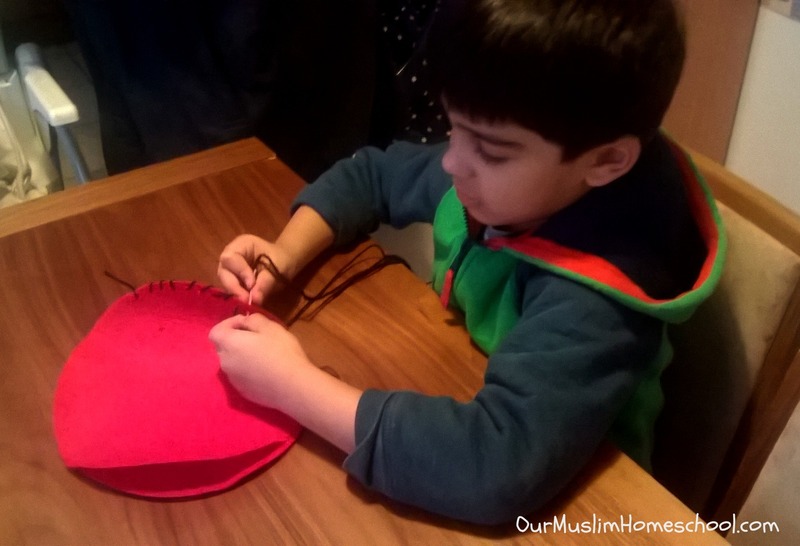 Ever since my 5-year-old learnt that Prophet Muhammad(pbuh) used to repair his own clothes, my son has wanted to sew! 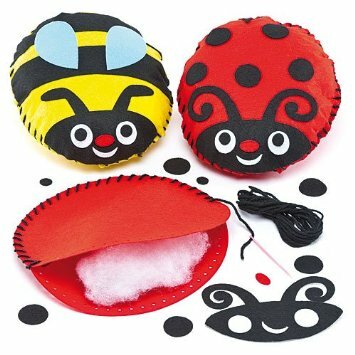 I found these Sewing Craft Kits , made by Baker Ross, and the boys were so excited to get started! The manufacturers recommend this kit for ages 5+, but you know if you child is capable or not. Use your own judgement. My 3-year-old surprised everyone by doing the bee almost entirely by himself….he’s a natural! mashAllah. This kit was PERFECT for little ones. The pre-punched holes made it easy to thread the needle through, the large plastic needle was safe, and the final product was SO CUTE! If you wanted to, you could easily recreate this kit yourself, and purchase everything from your local craft shop. 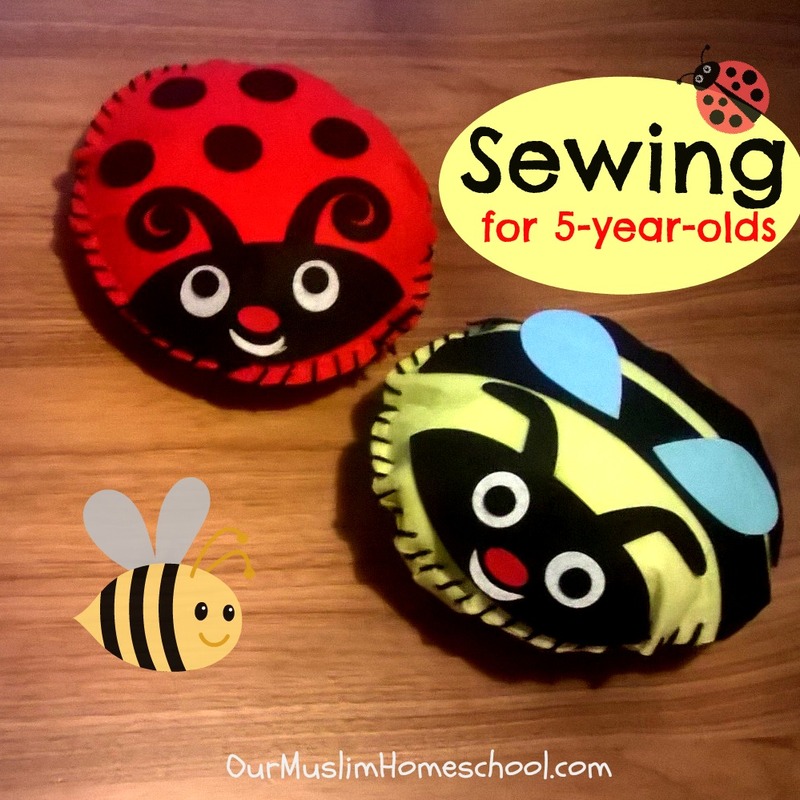 Have you taught your children to sew? What sewing projects did you do together? Please share with us all in the comments below. 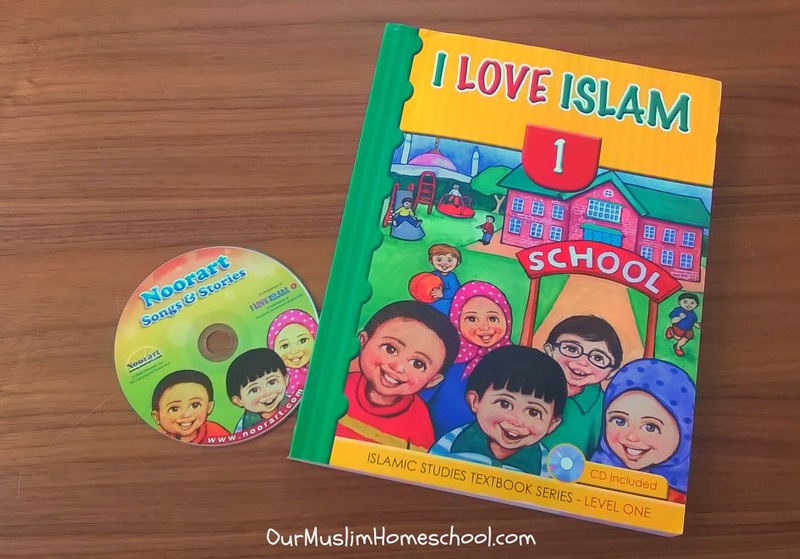 In our Muslim homeschool we use many different resources to create our Kindergarten Islamic studies curriculum. 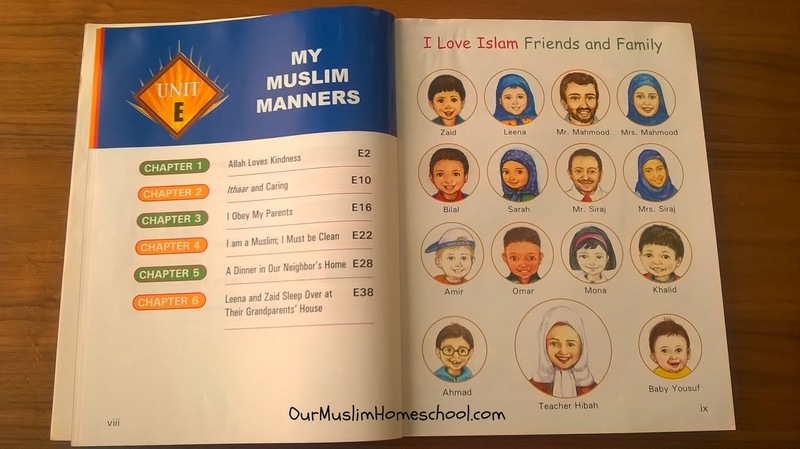 In my humble opinion, Islam should not be taught to young children as an academic subject, with workbooks and heavy texts. Instead it should be learnt naturally and organically by children from watching their parents and peers throughout their daily lives. Learning about Islam should lead to it becoming a natural part of your child’s being and a part of who they are. This cannot be achieved from books and academic exercises, but from good company and righteous parents who set a good example. That being said, I have listed some materials we use to direct our learning and spark conversations. This curriculum can be purchased from Noorart. We set aside time to read one chapter a week from this book. We are using Book 1 with our Kindergartner, which is aimed at children aged 5-6. There are five more books in this series covering ages 4-9. This book also comes with a CD, with nasheeds and stories to go along with each chapter. There are also workbooks available at NoorArt that can be used with this book, although we have not tried these ourselves. every day. This book is a collection of Quranic stories and is aimed at children aged 3-9 years-old. There is also a fantastic series of books, The Mini Tafseer Series from Ad-Duha institute that introduce tafseer (explanation) of Juz ‘Amma to children. They are based on the teaching of Ibn Kathir and are really excellent. I have personally learnt a lot from them myself. They’re written for children to understand and enjoy.These can also be purchased from NoorArt. We are fortunate in my community to have a number of other Muslim families who home-educate their children. Our children all come together once or twice a week to learn about Islamic topics in a relaxed and fun environment. 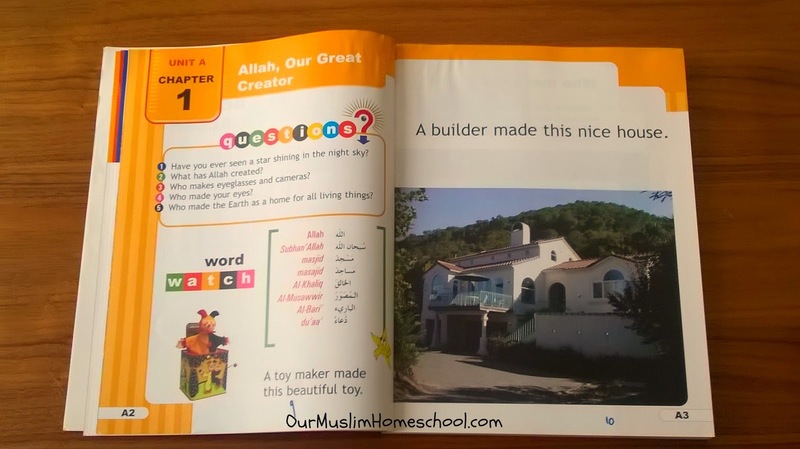 So this is how we ‘teach’ Islamic studies in our Muslim homeschool for my Kindergartener. If you have any resources that you use with your children, please let me know in the comments. 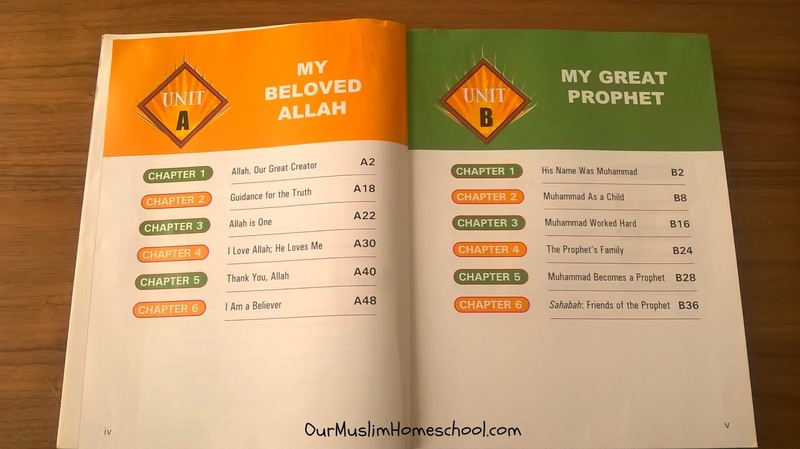 It’s always interesting to see what other Muslim families are using to teach Islam in their homes. Also if you have any questions, please leave them in the comments below and I will answer them as best I can insha’Allah. Thank you so much for stopping by our blog!